NEW YORK (AP) — While Matthew Broderick clearly can take a joke, it might be best if he skips the latest edition of the theater spoof "Forbidden Broadway." The long-running musical revue that hilariously tweaks shows and stars has kicked it up a notch after a three-year absence, going after more than a dozen juicy targets including the "Nice Work If You Can Get It" star. One of the first skits has an actor in a fat suit waddle onstage mimicking Broderick's boyish grin, dance awkwardly and warble: "Nice song if I could sing it/And when I sing it you will cry." Show creator and writer Gerard Alessandrini has heard some grousing that the mockery is too mean on the one-time Ferris Bueller, but thinks Broderick is ripe for ridicule this year for singing that's "tepid, dull and nasal." "I'm sure he's a doll and a wonderful actor and he's got a nice style, but I'm sure he must know he's not Judy Garland or Barbra Streisand," says Alessandrini. "Why shouldn't he be more of a target? We've gotten everybody else." 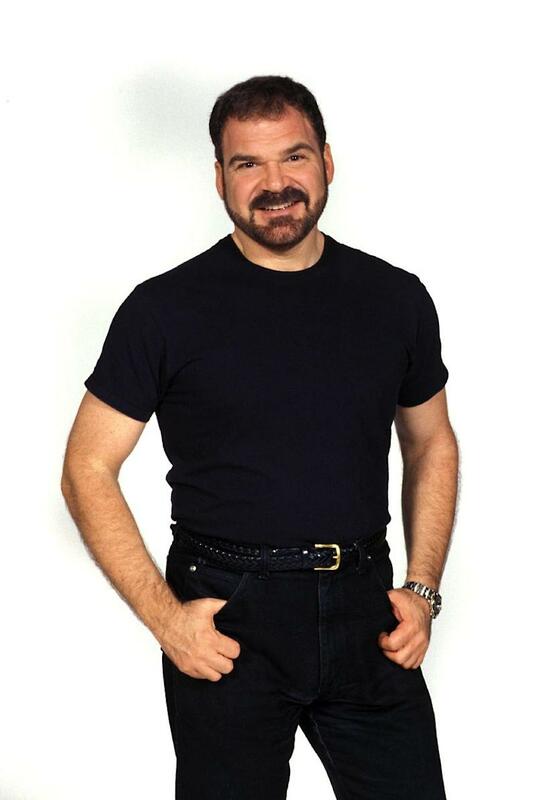 True enough — Alessandrini and his four-person cast also spoof Harvey Fierstein, Mandy Patinkin, Audra McDonald, Ricky Martin, Sutton Foster, Megan Hilty, Diane Paulus and, of course, Julie Taymor and Bono from "Spider-Man: Turn Off the Dark." Other highlights: Tony Award-winning "Once" gets skewered — "We're so unpretentious that now we're pretentious," an actor playing Steve Kazee sings. A fake Stephen Sondheim complains about revivals of his work: "When they bring back my shows/it's no wonder they close." The cast of "Jersey Boys" sing "Walk like a man/sing like a girl." Few escape a ribbing. Catherine Zeta-Jones is portrayed singing "Send in the Clowns" but with the lyrics "Is that my pitch?/Are you aware?/When I try singing a note/You'll hear hot air." And a cast member from "The Lion King" comes clean: "African baloney/but we won a lot of Tony." Alessandrini, who started the revue at a small Upper West Side nightspot in 1982 and watched it grow into an almost annual event with versions in Los Angeles, Boston and London over the next three decades, has a simple formula for what gets into the show. "If it solicits a fair amount of laughter, it must be something that other people have thought about," he says after a performance at the 47th Street Theatre. "Therefore it's funny. Therefore it's probably not that vicious." The show took a break in 2009 when Alessandrini realized new big hit musicals — and therefore ripe, easy marks — weren't making it to Broadway as quickly as in the past. He's reloaded now on a new crop, including "The Book of Mormon" and "Newsies," and has called this edition, the 21st, "Forbidden Broadway: Alive and Kicking!" Many of Alessandrini's favorite targets also have returned, including Disney's sugary shows and Patti LuPone ("You see, I must love her," he says. "We're always spoofing her. It's just too much fun not to do.") As a sign that he isn't too vicious, LuPone and Sondheim are both fans and frequent visitors. And no one has sued — so far. "I'm sure there are some places where I've gone a little too far," says Alessandrini. "Actually, once in a while it's nice to almost cross the line, just to see a few jaws drop. But usually we're kicking people when they're up so that softens it." Indeed, one sure way to get Alessandrini's attention is to be successful. Failure, he says, isn't funny, which is why this year's show doesn't make fun of "Leap of Faith," last season's biggest failure. Simply not enough people got a chance to see it to make jokes about it. "There's no sense spoofing something that really flops," he says. The "Forbidden Broadway" cast — Natalie Charle Ellis, Scott Richard Foster, Jenny Lee Stern and Marcus Stevens — are outstanding mimics and singers, as well as comics. Alessandrini and co-director Phillip George tailor the show to highlight the actors' best impressions. George, who began working with Alessandrini in 1988, says that like the lyrics, he tries to change as little as possible from the original staging so that skits look like the original. He credits Alessandrini with creating material every time that's fresh and silly. "On the one hand, he's one of the smartest people I know," says George. "On the other hand, nothing makes him laugh harder than really infantile humor. It's that combination of intelligence and the fact that what really tickles his funny bone is the silliest stuff in the world. I think that's why the show works." Alessandrini is quick to point out that his own views about shows aren't necessarily reflected in his jokes. For instance, this year he has Judy Garland complaining about how she was portrayed by Tracie Bennett in "End of the Rainbow," but he actually enjoyed the show and Bennett's performance. "It almost sometimes has nothing to do with my take," he says. Part of the joy of "Forbidden Broadway" is the skill Alessandrini displays turning the original lyrics inside-out and fitting in his own lines. "Lyric writing is like doing a crossword puzzle. I think it's an acquired accomplishment," he says. The show's format — four actors juggling multiple characters in a musical revue in front of a glittery curtain — hasn't altered in three decades and there are no plans to do so. "I figure if it isn't broken, don't fix it," Alessandrini says. And the cyclical nature of Broadway means he's once again spoofing "Evita" and "Annie" this year — shows he originally made fun of at the first one in 1982. "It hasn't changed much over 30 years," he says with a laugh.